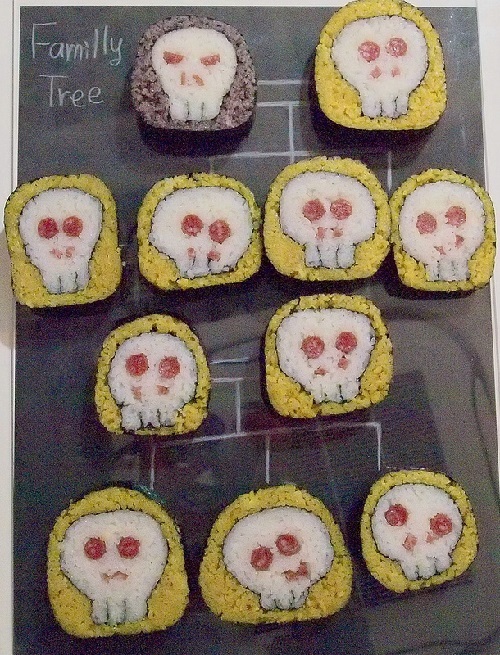 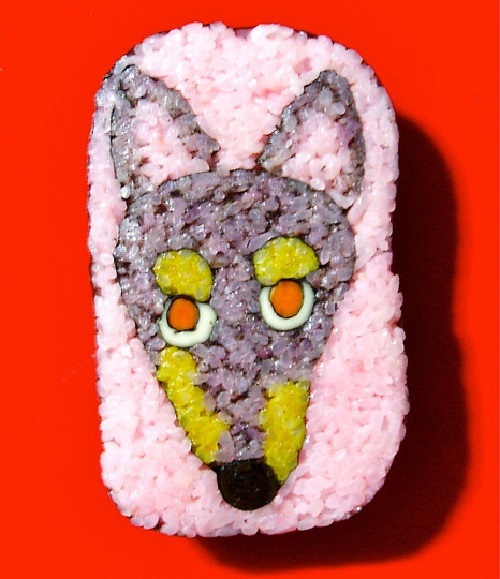 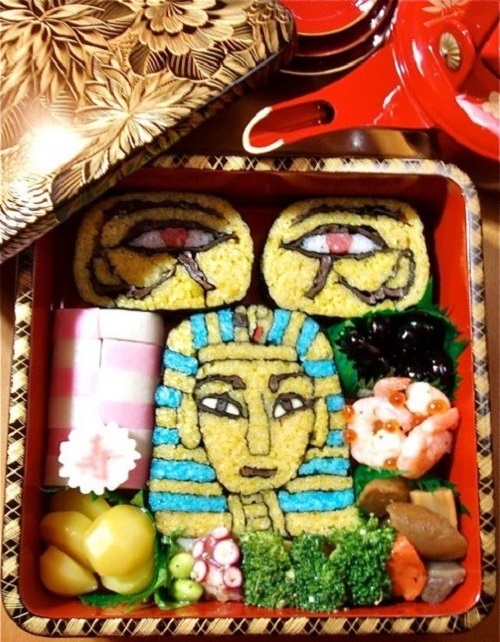 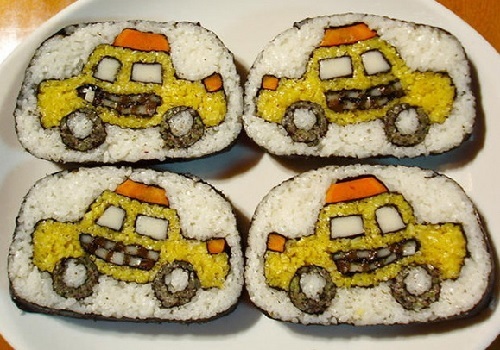 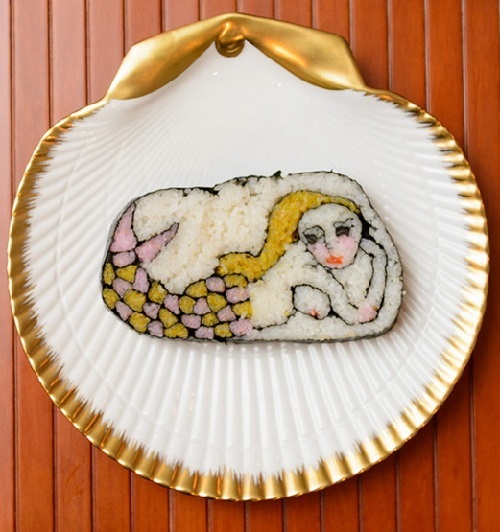 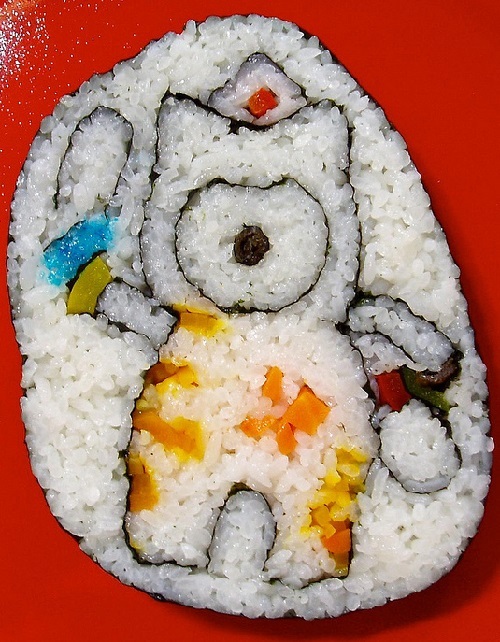 Sushi art by Takayo Kiyota. 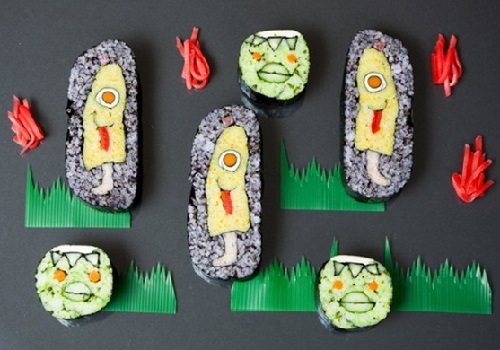 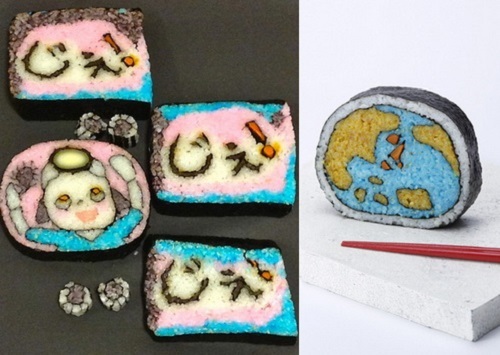 Japanese food artist Takayo Kiyota creates art from Makizushi rolled sushi. 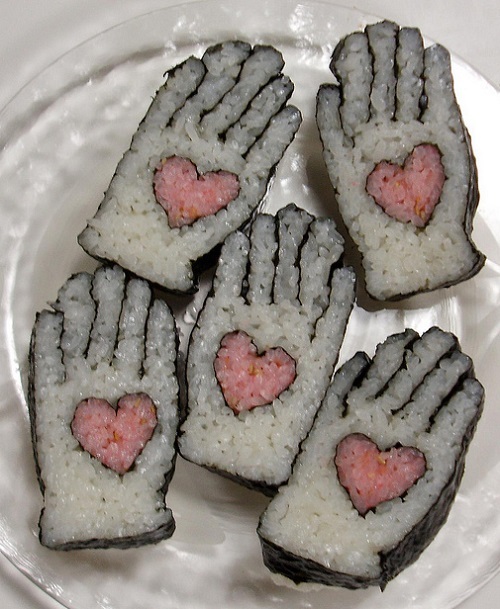 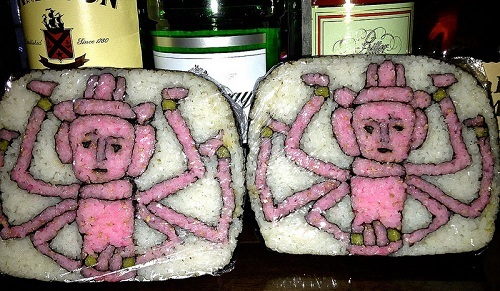 Rolls coming out of the hands of Takayo Kiyota – real art objects, not just sushi. 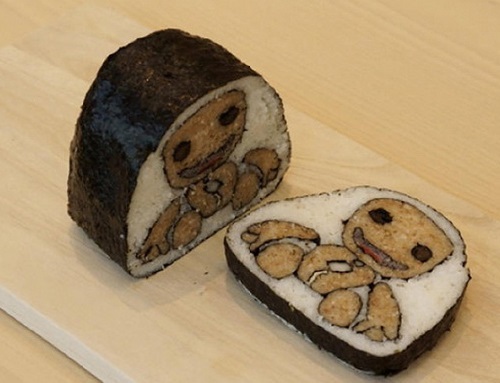 Externally huge cylindrical roll wrapped in seaweed, and doesn’t differ from traditional sushi, except the size. 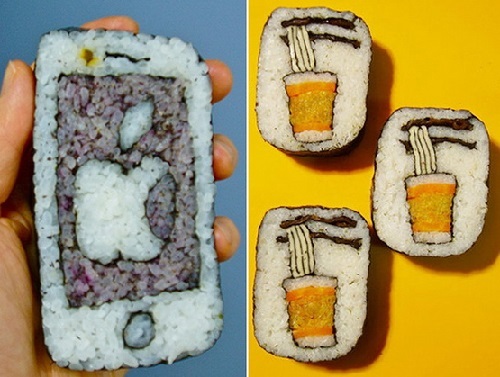 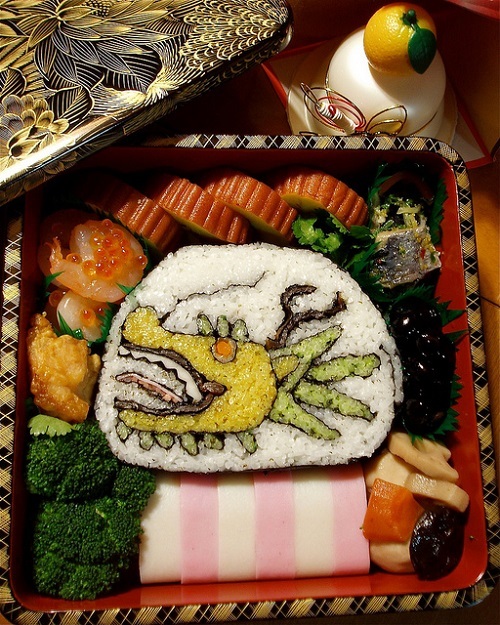 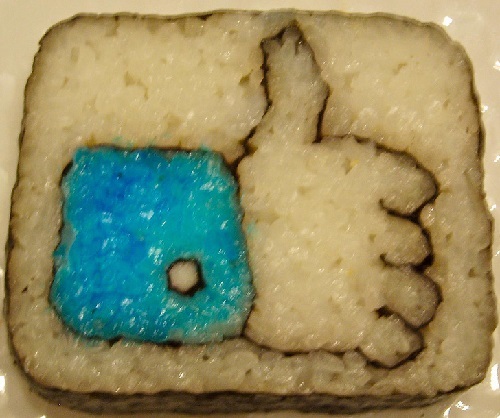 However, with the first slice the illusion of usual sushi disappears – the customer sees a stunning food painting. 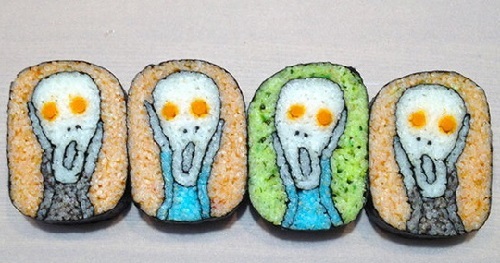 The themes of edible pictures vary from classical paintings, such as iconic “Scream” by Edvard Munch to modern life stories and characters. 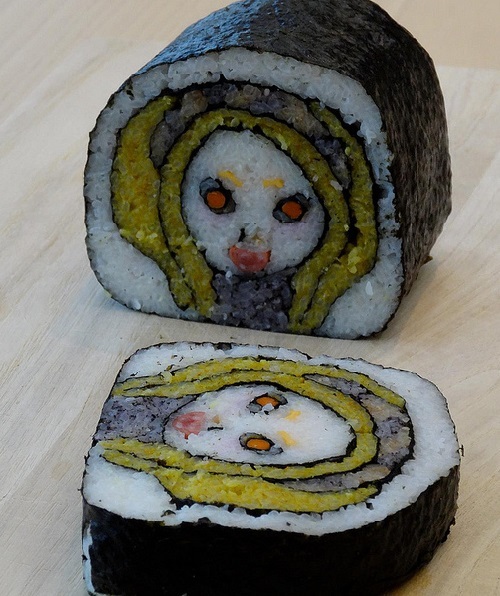 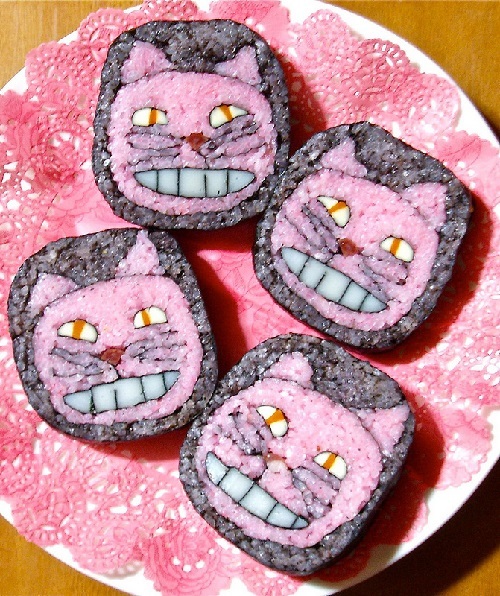 Takayo herself or Tama-chan, as she likes to be called, says that creating such rolls is easy. 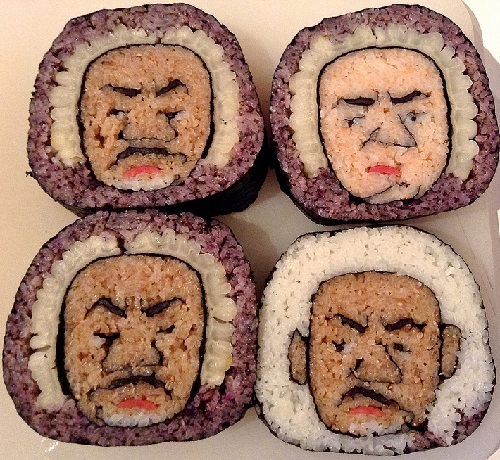 The main difficulty lies in the transfer of facial expressions of heroes of snacks. 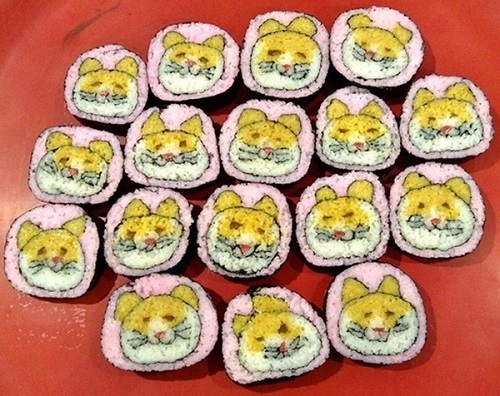 The fact that under the influence of a knife pattern may change and should be treated with great care when cutting rolls, not to spoil the picture. 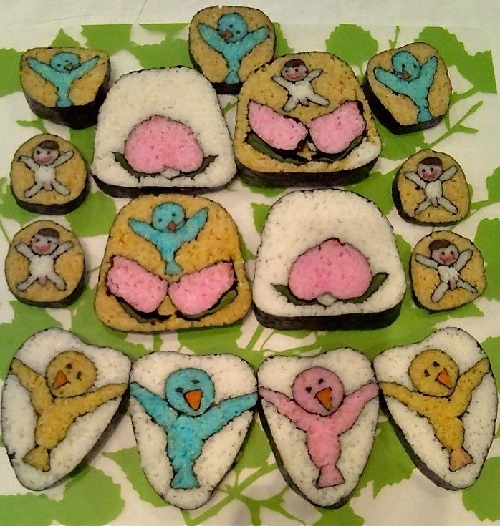 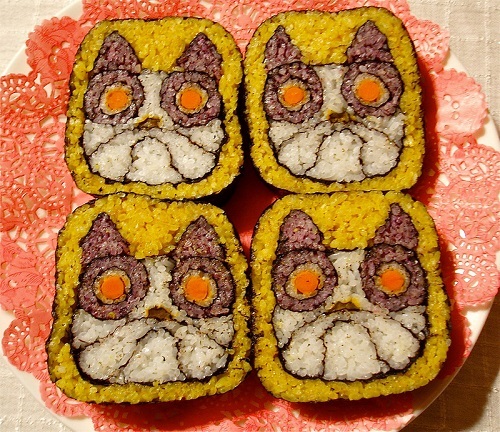 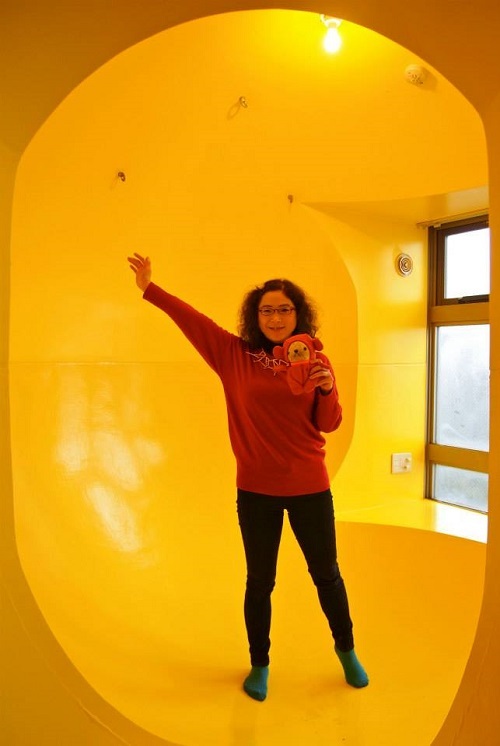 First time Takayo Kiyota made artful rolls ​​exclusively for her family and friends. 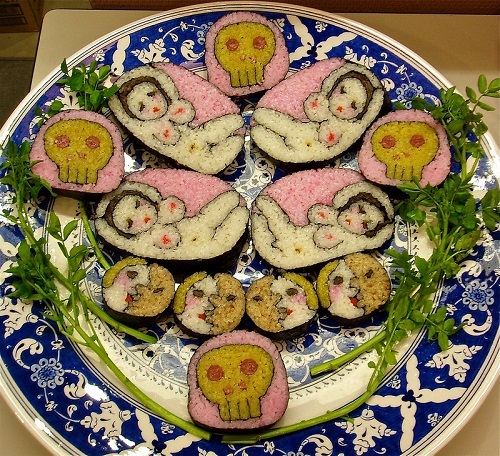 But the fame of the unconventional appetizer spread with such speed that the artist got lots of orders from outsiders. 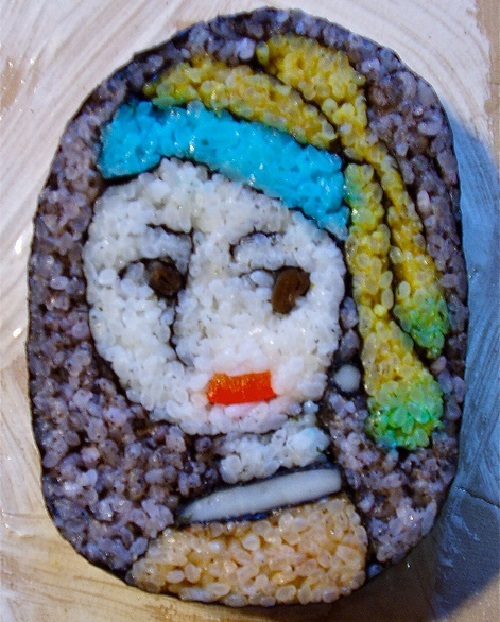 And the desire to order unusual sushi was so big that Takayo Kiyota had to spend more time at the kitchen table than at her work place.